It's not a standard yet, but that will likely change. Here's a detailed look at the state of WebRTC, the project that could finally deliver instantaneous video streaming at scale. Streaming Media's Jan Ozer interviews Phenix Technologies' Kyle Bank on the show floor at NAB 2019, and hears why low-latency CMAF isn't good enough for Phenix's demanding customers. 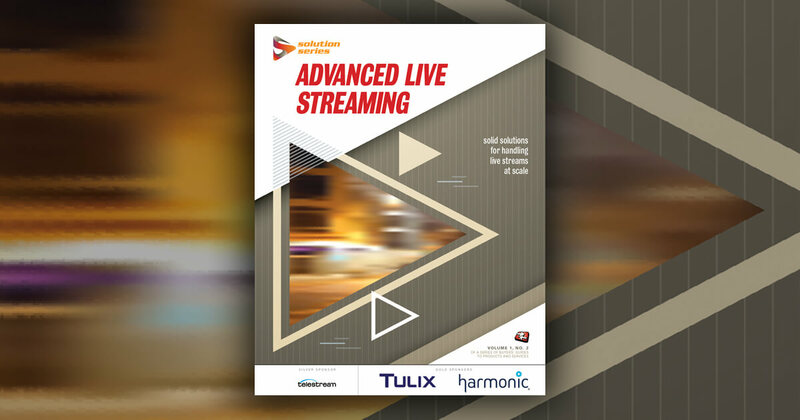 From the big games to corporate events, live video remains the cutting edge of streaming video. Will 2019 be the year that many decide to cut the cord and stream their live channels? Streaming Media's Jan Ozer and Encoding.com's Greg Heil discuss findings from the 2019 Global Media Format report, such as why better codecs don't always find wide adoption. The live-streaming platform formerly known as Ustream now lets users add slides and captions to their videos. We take a deep dive into these features and also discuss ongoing issues with its polls and registration gate. Streaming Media's Jan Ozer and NETINT's Ray Adensamer discuss NETINT's Codensity T400, which is aimed at companies that need to do large live video encoding jobs at scale. The company is listening to what consumers want in order to differentiate its offering. By asking questions and learning about pain points, it hopes to gain an advantage. At NAB, NPAW showed off its new smart ads service, which not only measures whether or not an ad is delivered but looks at its streaming quality and how it impacts overall viewer engagement. Epic Labs debuted LightFlow, one of the most exciting services to break at this year's NAB. LightFlow combines per-title encoding with network modeling, as well as per-device-type encoding. In this video interview, Epic Labs founder and CEO Alfonso Peletier explains the benefits it offers. See you later, per-title encoding. There's a new system in town and it's called context-aware encoding. Learn which companies unveiled CAE solutions at NAB, as well as other streaming breakthroughs. Data-driven title templates deployed in Adobe Premiere Pro CC 2019 are a powerful tool that will help most editors. In this tutorial, you'll learn what data-driven templates are, where to find some, and how to apply and customize them. An agency was hired to capture a company's booth at a large industry tradeshow. At the last minute, the client asked it to create daily highlight reels featuring interviews, product demos, and customer testimonials from each day. Here are a few tips that helped it speed up the post process. The annual Global Media Format Report is out from Encoding.com, and it's essential reading for streaming produceres looking for hard data on the state of video formats, codecs, and DRM. The inaugural Streaming Media Producer 25 highlights companies that make gear that not only demonstrates promise or prowess in a single stage in the process, but fits well in a kit that makes your live production workflow work. Read on to discover the tools one agency regularly uses to enhance the production values on each video project it creates. The best part is that these items are all under the $500 price point. 2018 was the year that context-aware encoding (CAE) went mainstream, but 2019 will be the year that context-aware encoding reaches critical mass. Choosing a video host for an online production means considering a balance of features, cost, and ease of distribution. This article highlights a range of solutions depending on the needs of the project and client. Having an exclusive new Star Trek series got viewers to take a look, but keeping them around required an investment in programming and performance marketing. Consumers love videos in short, tasty bites. Keep them mobile-friendly, true to brand values, and personal. And never be creepy! These seven tips are based on recent Adobe survey results.